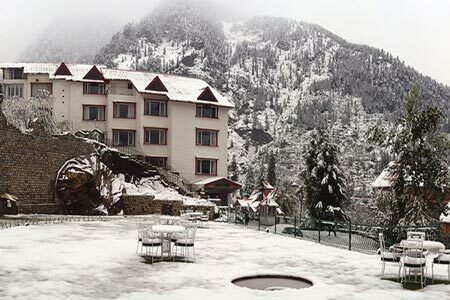 06 days of absolute pleasure await you at Manali, one of the most magnificent hill stations of Northern India. Board a Volvo and get started on a wonderful journey to a land of scenic landscapes, legendary temples and exquisite viewpoints. This Manali weekend tour package includes a day of local sightseeing tour with visits to the Hidimba Temple, Jagatsukh and Vasisht Kund. An excursion to the Solang Valley/Snow Point enhances the magic of this wonderful summer break holiday package. 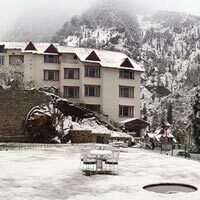 Ex-Delhi Volvo Tickets to and from Manali are included in this Manali holiday tour package. Board the Volvo bus from Delhi to Manali at 1700hrs and spend the night in the Volvo. Upon arrival, pickup from Manali bus stand to hotel. Check In to the hotel. Day free for leisure. Dinner and overnight stay at hotel. After Breakfast proceed for half day sightseeing of Manali visiting the 450 years old temple dedicated to Hidimba Devi, Jagatsukh and Vasisht Kund. Dinner and Overnight at hotel. After breakfast, enjoy full day excursion to Kullu & Manikaran. You can also opt for an optional tour to Solang Valley & Rohtang Pass (till Snow Point) at at additional cost. After breakfast, check out from hotel. Spend day at leisure & shopping. Transfer to Volvo Bus stand to board Volvo for return journey to Delhi.